Keith, Peter and Rob at The Cleaning Show last year, with the Custom Plus Bin Wash machine. Recently we submitted ourselves for the upcoming Cleaning Show Innovation Awards. The Cleaning Show Innovation Awards are a series of prizes for the best products and services in defined categories. These are judged and announced by a panel of experts on the first day of the show with plagues awarded to the winners. This is an opportunity for you to show off your latest products at the show. Morclean has submitted the Custom Plus Bin Wash machine which is our best-selling wheelie bin wash machine. 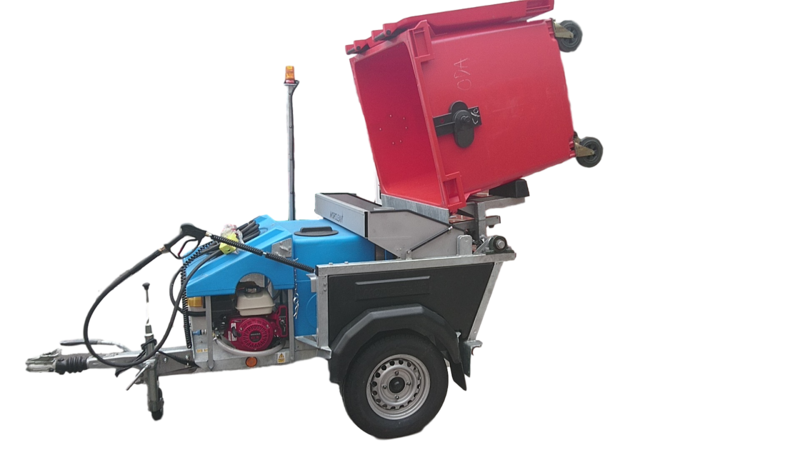 Wheelie bin wash machines are used to lift and clean commercial and industrial bins to help reduce the amount of bacteria built up and to minimise bad odours. The sanitation of bins can be especially important when in a food or hospital environment where maintaining a good level of hygiene is paramount. Most bin wash machines have 3 basic stages of filtration which are based on a micron-level of fine mesh using industry standard gauze type filters. The Morclean filtration system consists of a series of secondary filters which continually condition the water. An FDA21 approved impregnated silver filter inhibits the growth of bacteria and is the first filter of its kind to be used in the market. The water first flows through the 4th washable filter where debris and any small particles are removed. Then, more importantly, the water flows via the most significant and unique 5th filter which is a device containing media that is impregnated with silver. Finally, the water is aerated before it enters the main tank. 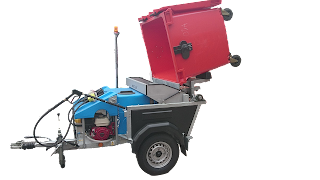 The Bin Wash Custom Plus is currently the only wheelie bin wash machine on the market to have 6 stages of water treatment and process waste water throughout the day (even when in standby). This means that the system inhibits the amount of bacteria in the water. 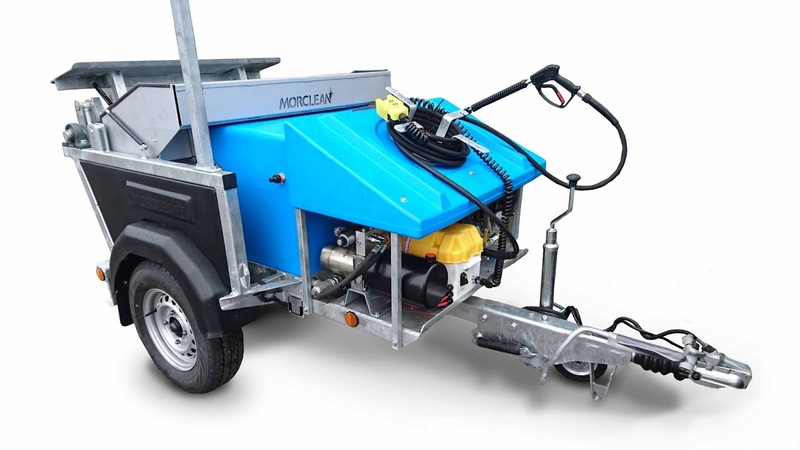 Morclean are confident that this is the most effective wheelie bin wash machine on the market and the demand for the Custom Plus supports this. 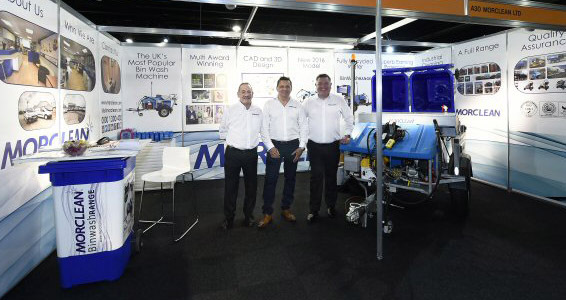 Cleaning Show 2017- A Great Success!